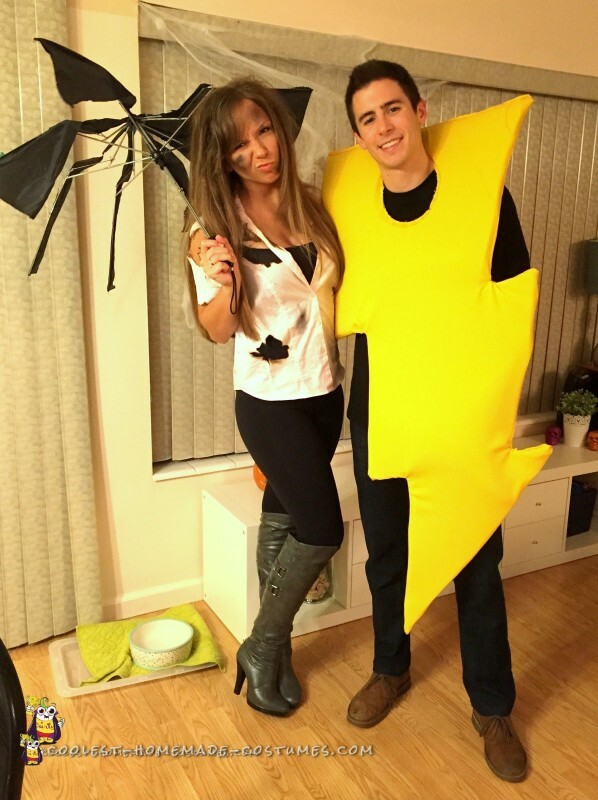 Here’s how we made our “Struck by Lightning” couple costume for under $20! 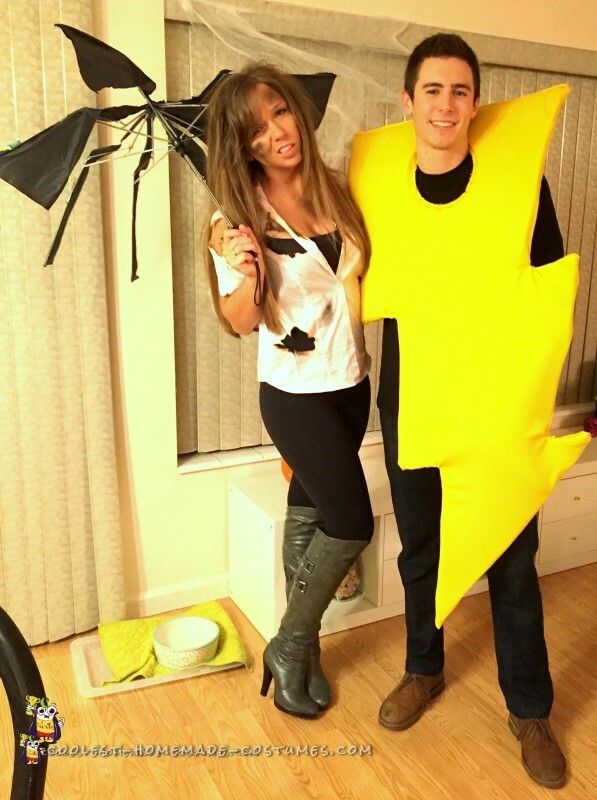 The outfit starts with an old umbrella cut apart to appear to be destroyed by a lighning bolt. The shirt was bought from Goodwill, and small sections were twisted to a point and lit on fire for 2-3 seconds, and then blown out. Keep water nearby in case of any fire accidents! Black eyeshadow was used for “soot” on both the shirt, and on the face. Finalized with crazy teased hair! 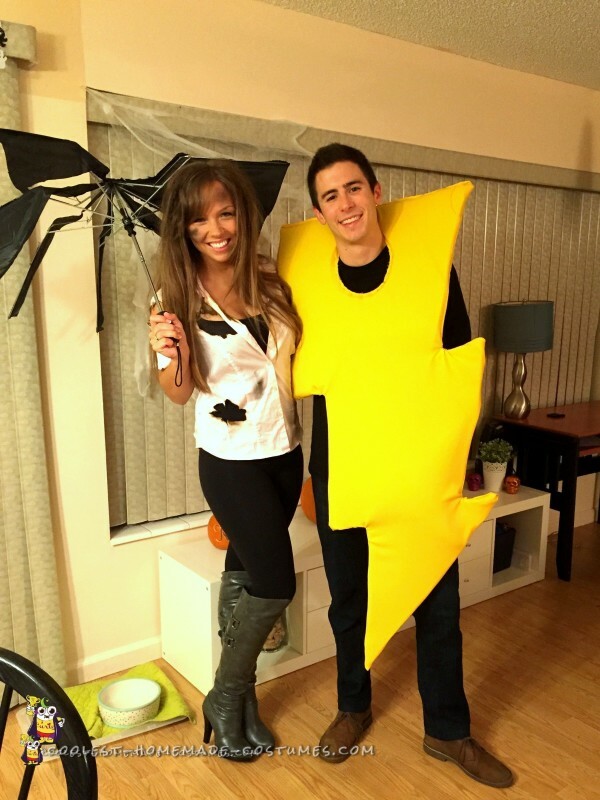 The lightning outfit was made with foam cut in the shape of the lightning bolt with the head hole, and then yellow fabric sewn around it.